Very Good. 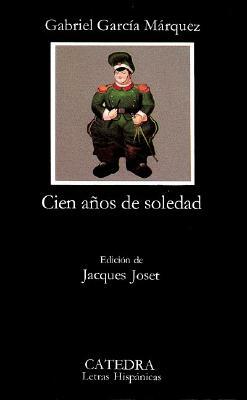 Cien Anos de Soledad / One Hundred Years of Solitude (Contemporanea) by Marquez, Gabriel Garcia, 2003-07-01. Text in Spanish. Trade paperback (US). Glued binding. 494 p. Contemporanea. Good. Cien Anos de Soledad / One Hundred Years of Solitude (Contemporanea) by Marquez, Gabriel Garcia, 2003-07-01. Text in Spanish. Trade paperback (US). Glued binding. 494 p. Contemporanea. This is a brilliant brilliant book. Very well written in every sense, but most of all, the reader can fell a very intelligent writer writing about normal life. What happens in Macondo can happen in every part of the world. A real joy.